With beer pairing dinners becoming more and more popular, Peerless Beers takes the concept a bit further for those dealing with Ontario's limited craft beer selection. Set up as a private beer appreciation club, participants get to purchase a club "membership" for each event. Members will have to reserve their spot on a first come, first serve basis. Formed by few fellow beer enthusiasts in Toronto, the folks at Peerless Beers are pairing up with some of the city's top chefs to provide something one would have a hard time experiencing otherwise. Every two months they will be selecting new chefs, dishes and craft beers that are not available anywhere in Ontario, and providing a splendid night with fellow beer aficionados. What really makes this unique is that they are adding a little excitement to the mix, by changing up the location and chef's for each meeting. And thanks to technology, they leave the final location a secret until moments before, guiding everyone to the general vicinity, before unveiling the final location. Their next event is on Sunday April 22nd, 2012 and as the lads were deciding on menu ideas with Tim and Rob Pettigrew from Grindhouse Burger Bar, I was lucky enough to explore the beer they have chosen for this event. The beer menu is definitely top notch. Feel free to check it out here. If you have met Tim and Rob before, you know how passionate they are about their food and their beer. A peak at their menu reveals dishes featuring their home cured wild boar prosciutto, fondue with homemade pretzels and mustard, deep fried squash ravioli, cocoa and espresso rubbed short rib, Rueben sandwiches and a cheesecake with their own dulce de leche. 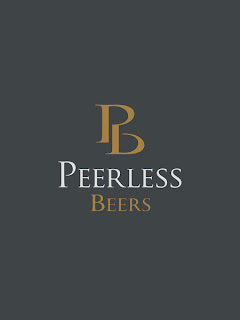 Membership for this event is $110.00 per person, and to sign up, you need to visit their website and register or email them at memberships@peerlessbeers.com to be included. With no formal marketing, they hope to spread the word merely though word of mouth. "It is the exclusivity of the club that really sets us apart" says co-founder Stephen Rich. "The ability to try some select beers with select people, just isn't something for the masses. It is not what we are trying to accomplish here". Definitely a great series of events in the making. Be sure to share this with your friends, but only the good ones.